Notes: Standard Black Sunbrella® 9.5oz./sq.yd. solution dyed acrylic fabric. or new wider Medium-Width (>= 32" grab rail width, >= 40" across front of canvas at points). 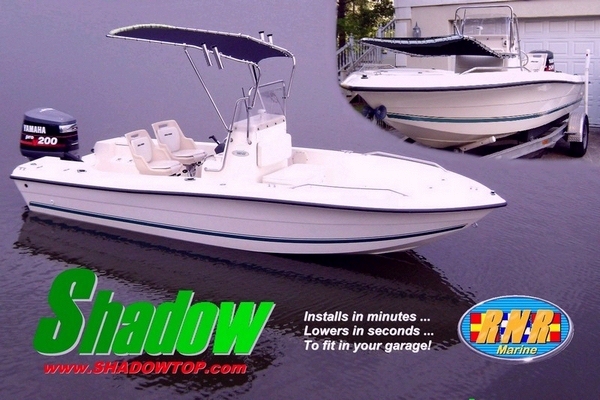 The Montauk-Shadow™ uses the wider, "MEDIUM" width canvas when installed on a Boston Whaler® Montauk 17, 170 or 19.